Do yoga by the Esplanade, tuck into a seafood feast, and ring in 2018 with a bang! 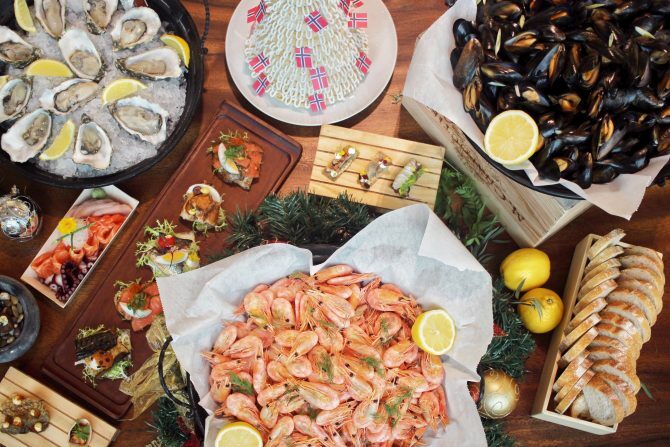 If you’re looking for a fuss-free dining experience this NYE but prefer to be homely with the closest friends and family, a customisable seafood platter might be just the thing you need. The experienced fishmongers at Fisk will recommend a bevy of options like sweet coldwater prawns, steamed mussels, freshly shucked oysters, and their signature “Pulpit Rock” smoked salmon that comes in four Asian seasonings – black pepper, Sichuan, Thai curry and otah otah. To order, call 6732 0711 or email seafood@fisk.com.sg.